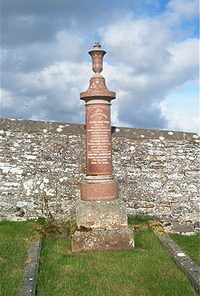 Margaret Gunn died at March Cottage 11th September 1931 aged 70. Husband William Doull died at March Cottage 23rd January 1943 aged 83. Daughter Christina Sutherland died at March Cottage 11th December 1971 aged 73.